Lockout – Fast and damage free. Flat rate, no hidden fees. Duplicates – Starting at only $90 for transponder duplicates (must have original key) we offer great value and fast service. Lockout – Fast and damage free. Do not get scammed! Flat rate quoted prior to dispatch. Lock is picked not drilled about 95% of the time. 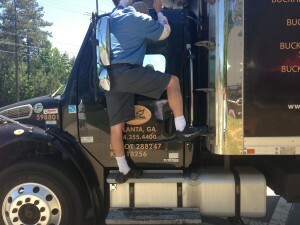 Trust only a professional locksmith. Rekey – We rekey homes most of the time without replacing locks. All locks can be keyed the same (if made by same company). All locks are inspected and repaired as part of the locksmith service. Replace and Repair Locks – Stuck locks, misaligned doorways, incorrect installation. We replace or repair your malfunctioning locks and keyways. We offer the best in what you need for the safety and security of your business — product, merchandise, exemplary customer service, and professional discounts. 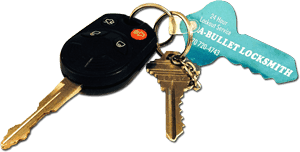 A-Bullet Locksmith offers all services performed by a professional locksmith. We are licensed and insured and our master locksmith has over 30 years experience. Call us today to get a quote on any locksmith service. We will provide an accurate quote that you can depend on. We promise to provide you with exceptional service at the most reasonable price. We stand by our work, and all hardware comes complete with original manufacturer’s warranty. For your convenience, we accept bank cards and major credit cards. Discount for cash. Sorry, only corporate checks accepted.